The stock market reaction to the offer was predictable: Novell’s stock surged 27 percent right after the news broke, and it should stay strong for a while until the market figures out if this is a Good Thing. The Linux community hasn’t raised a big fuss, though I suspect they’re still absorbing the news. I know I am, for my part. In particular, I am wondering what will happen to Novell if they accept this unsolicited bid? Some people in the know, like Canonical’s COO Matt Asay think this deal could work for SUSE. In his view, Elliot would do well to sell off Novell’s Linux division. I wish I could agree with him, but I looked at Elliot Associates’ past history of taking “an activist approach to investing, frequently amassing significant but minority stakes in distressed or under performing companies and attempting to foment change,” and I don’t like what I see. 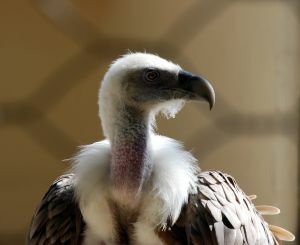 Elliot Associates is best known as a ‘vulture fund.’ They don’t make investments to turn companies around. They make investments to crush the cash out of them and then leave the picked over bones for someone else to pick up. Andy Updegrove, a lawyer, calls it a “Game of Cat and Mouse”. I haven’t seen any article yet, though, that describes in detail how the high stakes game of tender offers is played, and how the usual process maps (and doesn’t) to a high tech company like Novell. So I thought I’d provide an overview for those that haven’t had occasion to follow a tender offer in the past, and also my thoughts on what may happen over the next several months in this particular game of cat and mouse. The tender offer game: First up, let’s talk about how the standard drama plays out. It starts with the acquiror trying to pick up as much stock as possible on the sly before it comes out of the closet. That’s because once word gets out that the company (referred to as the “target”) is “in play,” the stock will go up. So the acquiror wants to build as big as stake as possible at the cheapest price it can. But the securities regulators have long realized that this presents two problems: first, the sellers will feel cheated if they later find out they sold at a steep discount to what others get a short while later, and second, the acquiror will vote all the shares it picks up in favor of the acquisition. So the Securities and Exchange Commission (SEC) requires any company that acquires more than 5% of the stock in a public company to make a public filing disclosing that ownership and its intentions. That filing is made on form 14D, and it must be regularly updated as the acquiror’s ownership percentage changes, and as its intentions change. When an acquiror files a 14D, it could affirmatively state that it has no intentions of making a tender offer. Depending on the acquiror, that statement might be credible, or it might be viewed with suspicion. But if it affirmatively states that it intends to make a tender offer, or is keeping its options open, then the word spreads – fast. It’s Final: Novell Owns UNIX. Now, Who Will Buy Novell With UNIX? What Happens to BrainShare and the SCO Trial Now That Novell’s Future is Uncertain?